Russia’s Alrosa (MCX:ALRS), the world’s top diamond producer by output in carats, introduced Tuesday The Dynasty, a unique collection of diamonds manufactured at its cutting and polishing facilities. The centerpiece of the collection, a 51.38-carat traditional round brilliant-cut diamond, is the purest of all large diamonds manufactured throughout the Russian jewelry history. The Dynasty collection consists of five diamonds and was created from a 179-carat rough diamond. The Romanovs, a unique rough diamond, was recovered from Nyurbinskaya kimberlite pipe in the Republic of Sakha (Yakutia) in 2015. There was a good reason to choose the name for the collection, which is connected with ALROSA's intention to revive the traditions and memory of renowned Russian jewelers famous for their craftsmanship and filigree since the Russia's first cutting and polishing factory founded by Peter I early in the 18th century. Other diamonds in the collection are named after the dynasties that played a crucial role in the development of the Russian jewelry. 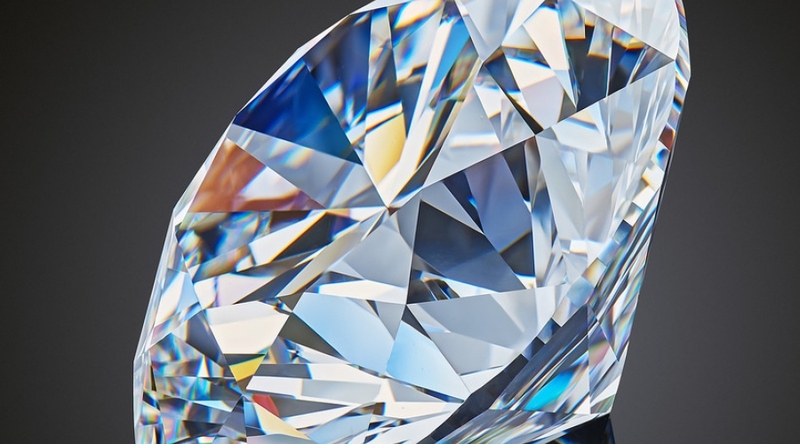 A 16.67-carat round brilliant-cut diamond, the second by weight, was named The Sheremetevs. The Orlovs is a 5.05-carat oval diamond. The Vorontsovs is a 1.73-carat pear-cut diamond, and The Yusupovs is a 1.39-carat diamond. "This collection is really unique. All five diamonds were manufactured from one rough diamond, which is an exceptional case. It took a year and a half to create the collection. But the result was worth it: we have obtained amazing quality diamonds. And the main diamond, The Dynasty, has become the purest of the largest diamonds throughout the history of jewelry in our country. The whole collection was certified by the Gemological Institute of America (GIA) to confirm its characteristics. 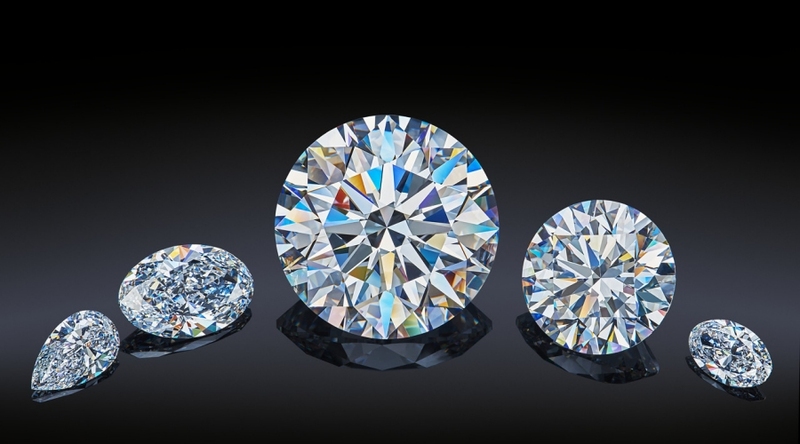 Less than 1% of diamonds in the world have such characteristics as color D and clarity VVS1. And such characteristics of polished diamonds obtained from one rough diamond are exceptional. To be sure, it is a masterpiece of Russian polishers." All five diamonds in The Dynasty collection were manufactured by the craftsmen from Diamonds ALROSA, ALROSA's cutting and polishing division. "The creation of The Dynasty was of great importance. This stone gives a start to a new stage in the development of ALROSA's cutting division that will actively develop polishing of extra-large and colored diamonds. The Dynasty demonstrated that we can do it at the highest level. We work a lot on the technique, combine modern technologies with the secrets of jewelers of the Russian Imperial Court. And we expect that the revival of their traditions will be a worthy contribution to the promotion of the Russian jewelry stones' brand in the global market. " The Romanovs rough diamond and the main stone of the collection, The Dynasty diamond, are dedicated to Peter I and the Romanov dynasty. The Russian jeweler's art saw tremendous changes in the late 17th – early 18th century. Peter I, who guided Russia towards Europe, also changed the habits of people. Apart from new clothing fashion, balls and assemblies created a market for jewelry. Russia was proclaimed to be Empire, and the crowning ceremonial was replaced by a solemn coronation ceremony. Since it requires proper arrangement and decoration, Peter the Great ordered Russian craftsmen to create the first Imperial Crown of Russia. For the first time in history, Peter I established state supervision over the jewelry industry and launched the development of diamond deposits. Early in the 18th century, the first cutting and polishing factory was created in Peterhof by his Imperial Edict. A few years later, such factories already operated in Yekaterinburg and Altai. Russian jewelers supplied golden jewelry with diamonds, pearls and gemstones not only to the Russian Imperial Court, but to England, France, Italy and the Austrian Empire as well. 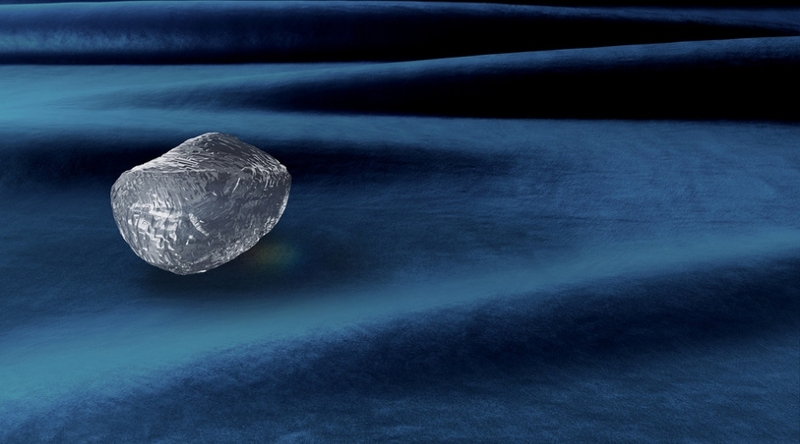 A 16.67-carat round brilliant-cut diamond, the second by weight, was named The Sheremetevs. The Orlovs is a 5.05-carat oval diamond. The Vorontsovs is a 1.73-carat pear-cut diamond, and The Yusupovs is a 1.39-carat diamond. The Romanov-era great Imperial Court sparkled with an abundance of diamonds. One of the evidences is left by the famous French traveler Astolphe de Custine in his notes on the visit to Russia: "Ladies' jewelry and gemstones shone with a magical light among all the treasures of Asia that covered walls of the cathedral where the royal luxury seemed to compete with the greatness of God." It is impossible to imagine the greatness of creators of this magnificence without those who ordered to create the masterpieces. Representatives of the famed family dynasties of the Russian Empire – Count Pyotr Sheremetev, Count Grigory Orlov, Minister of Foreign Affairs in the office of a Chancellor Mikhail Vorontsov, and Counselor of the Catherine the Great Nikolai Yusupov had a huge historical influence on the development of the Russian jewelry industry and prestige of the Empire. Count Pyotr Sheremetev was a companion of Peter I and a senator under Catherine the Great. One of the richest men of his time, he was able to afford any jewelry. Nevertheless, the Count placed numerous orders with Russian jewelry houses, highly appreciating the skill of Russian jewelers. Famous gifts of the Empress Catherine II to her favorite Count Grigory Orlov, a senator who was one of the originators of the Hermitage and the Imperial Public Library, adorn collections of national museums worldwide. But the favorite's major gift to the Empress, the Orlov diamond, adorned the Imperial Scepter and the coat of arms of the country. Building relationship with foreign ambassadors was among the key priorities of the department of foreign affairs. At all farewell audiences diplomats received memorable gifts, order and manufacture of which was supervised by the head of the department, the chancellor of the Russian Empire Count Mikhail Vorontsov. The renowned collection built by many generations of the Yusupovs made an indelible mark on the history of Russia. More than 8,000 masterpieces from precious metals and stones are kept in the State Hermitage Museum. Prince Nikolai Yusupov, the patron of arts and sciences, advisor to Catherine II and Nicholas I, started this collection.